And a lot of other great features..
We are working hard to publish the next release of Pinguino IDE soon. The Changelog is now a book !! 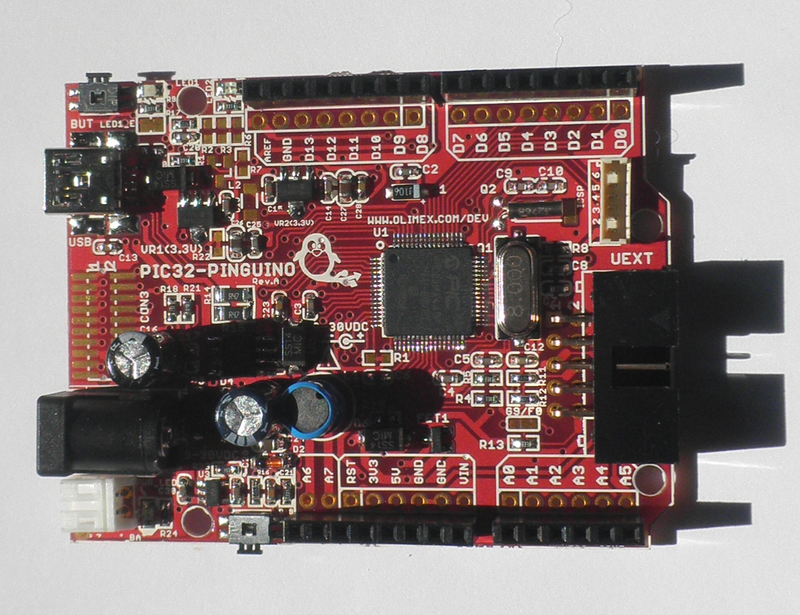 A team is working on 8 bits improvements, another on 32 bits boards and GCC. The powerful of this 32 bits system should be soon available as easy as development is for 8 bits systems. Thanks again to all the contributors, developers, users. hola quiciera saber si existe alguna libreria para utilizar teclado matricial en pinguino. First of all, you are doing a good job with Pinguino. In respect to pic32-Pinguino, do you really use pic32mx440F256L? I've been searching this model on microchip webpage and can't find it. The nearest one is pic32mx440F256H or pic32mx440F128L. And do you plan to support other pic32 models? Thanks for this remark, and sorry for the mistake !! this board is based on the 32MX440F256H, you are right. Of course, the new version of the IDE already support 32MX440F256H but also 32MX460F512L. And we should also add support soon for the 32MX795F512L. EDTP electronics already sell a breadboard board with those chips. Pinguino32X will be available with support for EDTP board ( EMPEROR460 ). Having trouble installing the new beta version. Previous Previous post: Pinguino/Processing from Thailand ! !